For those who have experienced the pleasure of working the soil, of watching plants grow and relaxing in their quiet companionship, giving up a yard can feel like saying goodbye to an old friend. 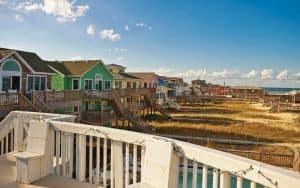 Whether you’re admitting you need help with a large yard or moving to a community where yardwork is someone else’s responsibility, the change may feel more like losing a limb than gaining an advantage. Fortunately, you can say goodbye to the never-ending cycle of seeding, fertilizing, watering and mowing a lawn and still keep your ever-green thumb engaged with ornamental and edible plants. Diane Burns understands the pleasure of working the earth, of nurturing plants that provide both aesthetic and culinary pleasure. After a first career as a foreign service officer with the Bureau of Diplomatic Security for the State Department and the birth of her second son, she decided to switch to the field of horticulture. Since completing her training, she’s worked at Monticello and managed her own landscaping business in Richmond. 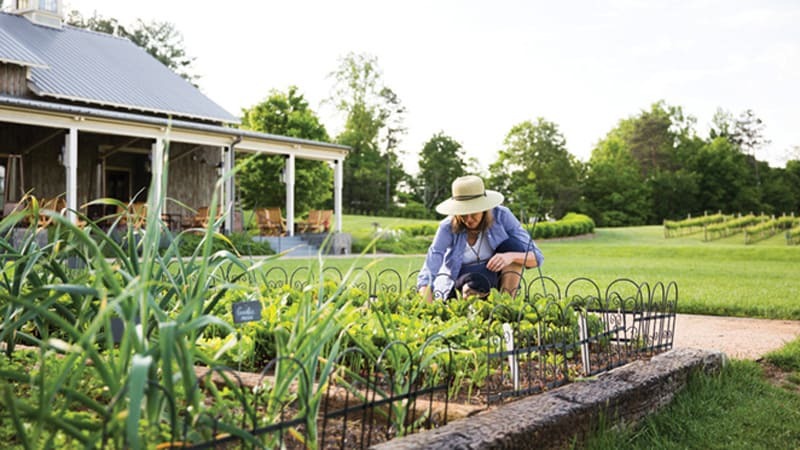 Now she manages the gardens at Pippin Hill Farm & Vineyards in Albemarle County. In addition to growing herbs, vegetables and fruits for use in the Pippin Hill restaurant’s kitchen, she maintains ornamentals on the grounds around the tasting room. I met with Diane on a recent trip to Pippin Hill for recommendations on keeping a green thumb busy. Planters in a variety of shapes and sizes, indoors and out, enable any wannabe gardener to engage with soil and flora. At Pippin Hill, Diane artfully arranges large pots from parking lot to patios. 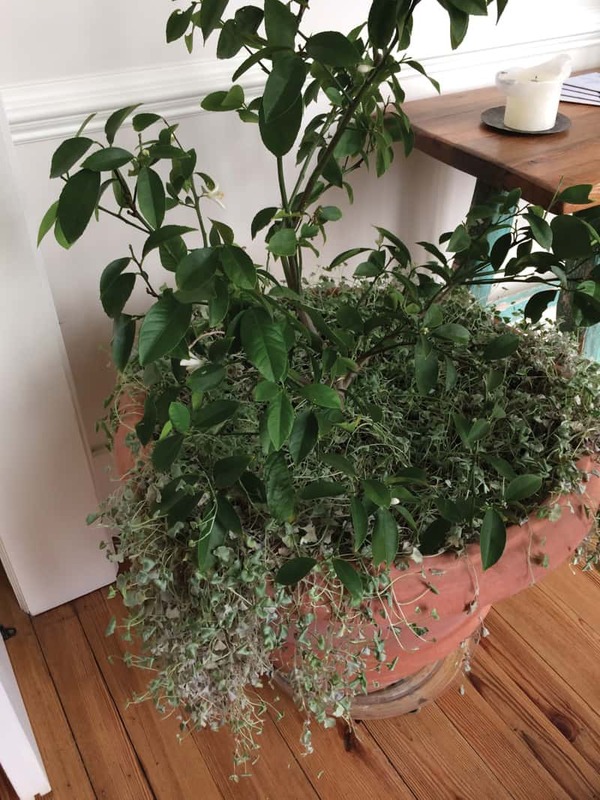 She subscribes to the “thriller, filler, spiller” strategy: a tall, thrilling, eye-catching centerpiece; smaller complementary plants to fill the base of the centerpiece; surrounded by foliage that spills out of the container. Diane started my tour of the grounds with two regal terra cotta planters. Elegant evergreens act as thrillers in such large pots, like sentinels guarding the property. 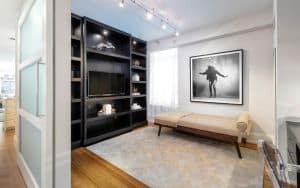 Other thrillers include the tree hydrangea and lemon tree, which can grace the patio or a home’s interior, depending upon the weather. Smaller pots can host smaller vertical plants, like angelonias. While trees maintain their post in a pot long-term, fillers and spillers can change with the seasons. Diane’s recommendations include diamond frost euphorbia and cool-weather violas to fill; and Silver Falls Dichondra and Calibrachoa million bells to spill. Depending on your budget, Diane suggests using Italian containers by Enzo Zago Terrecotte, which are guaranteed to withstand frost and freezing, even down to -20 degrees Fahrenheit. Diane also maintains potted herbs at Pippin Hill, which provide visual and fragrant appeal as well as culinary value. Window box containers can easily be changed seasonally, adding the spice of variety and highlighting holidays. Besides living displays, window boxes can be decorated with oranges, evergreen and pine cones in the winter; holly and hearts for Valentine’s Day; and gourds in the fall. In some Pippin Hill planters, Diane uses coconut liners. These natural-fiber products hold water, releasing it slowly, while also providing good drainage, aeration and small amounts of beneficial minerals. If your yard has limited space, you may still have enough for one or more raised beds to fill with ornamental or edible plants. Diane’s kitchen gardens at Pippin Hill are a veritable patchwork quilt of raised beds. Such wood-framed plots enable the gardener to fill the frame with quality soil. Beds can be purchased pre-made, or you can easily construct one yourself with four pieces of lumber (untreated only, and preferably rot-resistant oak, cedar or redwood) and rebar. 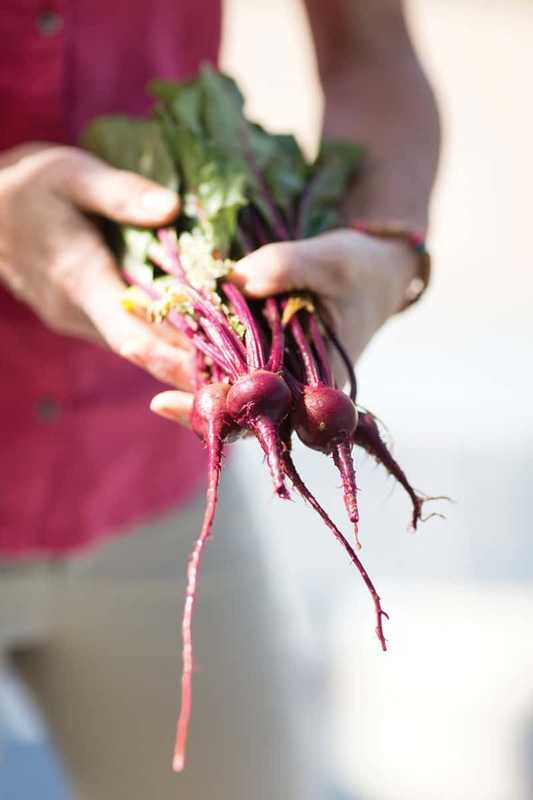 Some neighborhoods and new developments in Richmond offer community gardens, a larger piece of land divided for individual use – pick a plot to call your own! 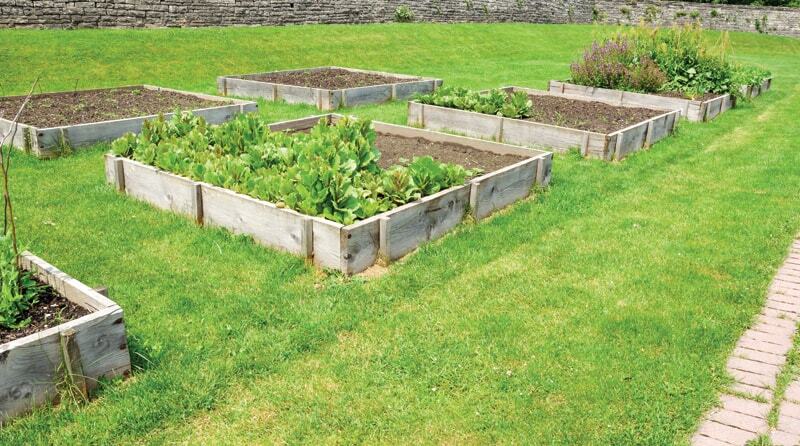 With raised beds, a few scattered pots or a community garden plot, you can keep your ever-green thumb ever engaged. Tasty Mara des Bois strawberries, grown in a container or raised bed, produce fruit during the summer and into the fall. Easy-to-grow nasturtium and marigolds are both colorful and edible! In addition to its edible leaves, the perennial African blue basil boasts edible pink and purple flowers with a lengthy blooming season. 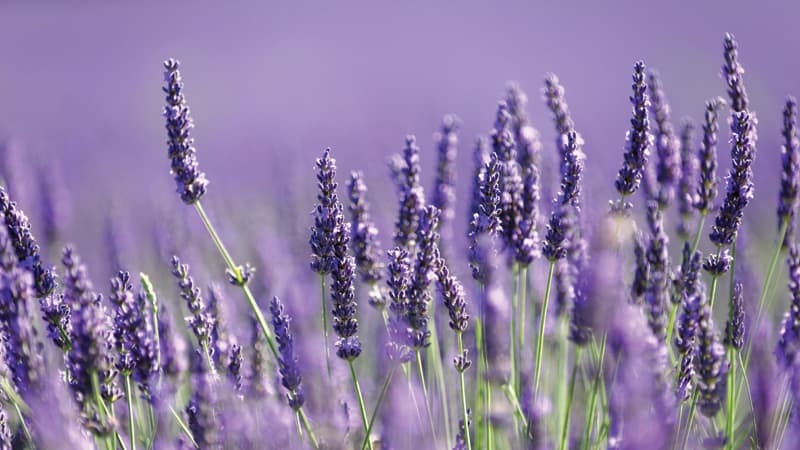 Lavender, always a delight to the senses, can be dried to extend the fragrant options. The hardy and aromatic Arp rosemary hosts profuse blue flowers that provide additional landscape value. Garlic grows in the winter, to keep your green thumb happy year-round. Choose hardneck garlic and harvest the scapes for cooking. Take a peek at Pippin Hill Farm & Vineyards’ wine, tasting room and kitchen!